Not too long ago, MLB released their shiniest toy yet — a brand new set of positioning numbers paired with a friendly, colorful user interface. There are dots and sortable charts and drop down menus and the like. It’s equal parts impressive, silly, and overwhelming. Still, the new information provides us something to write about, and for that, I will forever be in their debt. 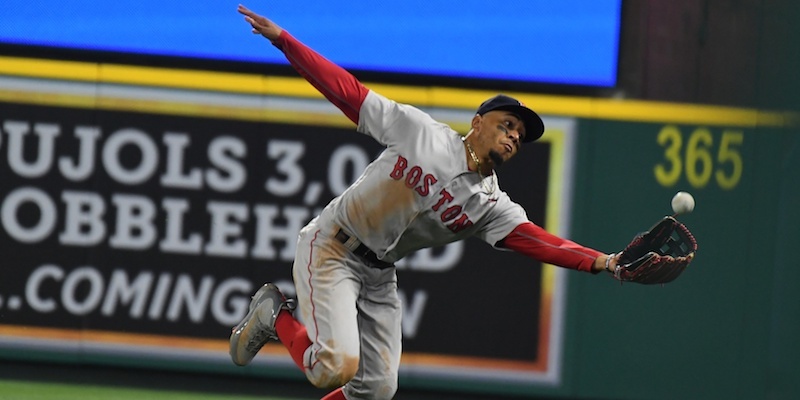 The Red Sox outfield defense is widely considered one of the best in baseball, with All-World right fielder Mookie Betts, and human highlight reel Jackie Bradley Jr patrolling the vast spaces of Fenway’s quirky outline. Andrew Benintendi is also there — looking fabulous — but, you know. So how are the Red Sox lining up on defense? How do they compare against not only other teams, but their own teammates? Let’s take a look. Don’t waste your time squinting and trying to decipher the two. You will get a headache from staring at the screen, not be able to fall asleep, and I don’t want that on my conscience. On a larger scale, the Red Sox play a shallow left field. The average left fielder plays at a depth of 294 ft. Martinez plays at 290 feet, and Benintendi sets up shop at 289. Of 52 players who have been in left for at least 100 plate appearances, only Cincinnati’s Jesse Winkler plays a more shallow left field than Benintendi. That’s a not-insignificant difference, but then you remember that there’s a gigantic green wall in left field at Fenway Park and things start to make some more sense. There’s no gigantic green wall in Cincinnati, so I’m not really sure what Winkler’s excuse is. For starters, you can see two dots! That is encouraging. 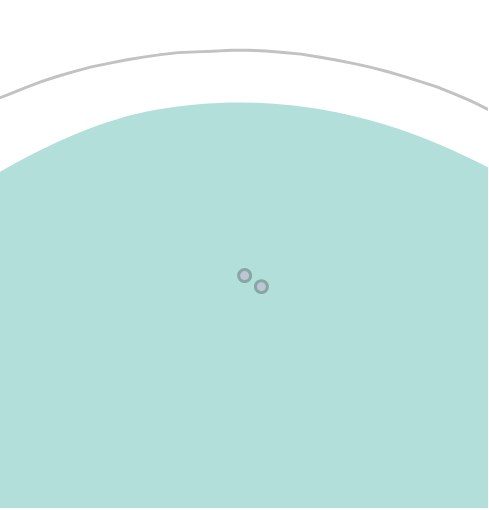 As you might have guessed, that shallow dot is Andrew Benintendi. 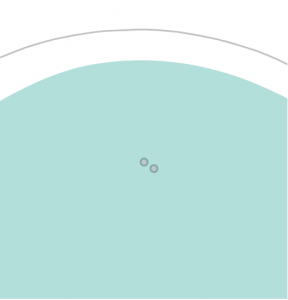 While the average centerfielder plays at 316 feet, Benintendi lines up at 308. Once again, it is the second-most shallow position of any qualified center fielder, this time behind the White Sox’ Adam Engel. 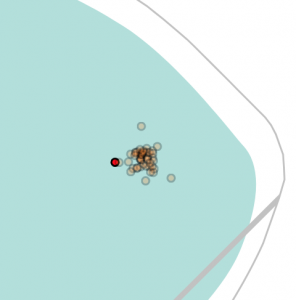 Whether it’s his choice or something the coaches are telling him, it’s fascinating to see that Benintendi plays one of the most shallow outfields in baseball. The deeper dot, obviously, is Jackie Bradley Jr. He still plays more shallow than the average center fielder, with JBJ settling in at 312 feet. Of the 48 qualified CF’s, JBJ’s depth puts him at 38. It gets even more interesting when you turn the calendar back a year and see that in 2017, he was setting up at 326 feet. He’s playing nearly five yards more shallow this season, which seems… dramatic. Worried about the Red Sox shallow-playing tendencies? Don’t be. If you take a look at who JBJ is grouped with, you’ll notice names like Engel, Buxton, Marisnick, and Hamilton. What do all those names have in common? All four are in the top half of MLB’s fastest center fielders. In fact, Buxton, Engel, and Hamilton make up three of the top four. You can’t teach speed, and the wheels that the aforementioned players posses allow them to cheat in a little more than others normally would. If anything, it should be noted how impressive it is that Bradley plays a shallow center field with positionally-average speed. He doesn’t need the game-changing speed that the other players at his depth do to make the same catches. JBJ also plays the ball as straight up as straight up can be. Of those 48 qualified CFs, only three set up at an exact zero-degree angle. I’m not entirely sure how important that actually is, but being only one of three fielders to do it seems noteworthy. To be honest I’m not sure any Red Sox fan cares what angle he lines up at if he keeps making absurd diving catches once every two innings. 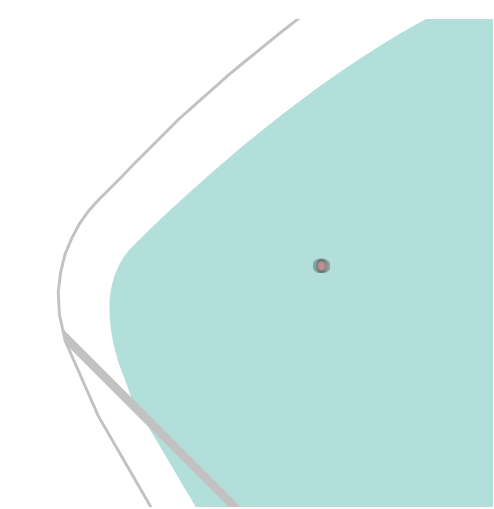 Considering how cavernous Fenway’s right field is, it’s fascinating that Betts plays so shallow and center. He sets up at 279 feet, far far below the MLB average of 293. He also shades farther into center field than any other right fielder in baseball, standing at a 25 degree angle. The only other player that comes close to that is San Diego’s Travis Jankowski, who makes up for his dramatic angle by playing the deepest right field in baseball. Whatever the reasoning is, it’s working for Mookie. Betts currently ranks sixth in baseball with five outs above average. His Catch Percentage Added sits right at six percent, which is good for 11th-best in baseball. Add in the rest of what he’s doing this year, and Mookie can do whatever he wants and line up wherever he wants. He’ll still get the job done. Interesting and something I’d never considered. I’d be curious to see how outfielders have played Fenway over the years, including averages for visiting teams. BTW, is this data available to the public or some sort of subscriber service? Plus include a link if it’s public.